How do I get involved in the Para Equestrian Classes at national level shows? How can I find out where I can compete and competition information? Will I be allowed to participate in regular classes at national level shows? Where can I find the FEI Para Equestrian Tests that are used in these classes? What memberships and registrations with the USDF and USEF will be needed to participate in national level competitions that offer the FEI Para Equestrian classes? What do I need to include with my entry to participate in classes at national level shows? Are there any “all Para Equestrian” events? What is “classification” and what events require classification? Do I have to compete at my classification grade? How do I get classified for my sport? How do I get on the USEF Dressage Para Equestrian Ranking List? How do I qualify for the Paralympic Team? What other source of information can help me in participating as a Para Equestrian? Who can I contact to help me get started? If you have a permanent, measurable disability you may be eligible to compete in Para-Equestrian (PE) classes. PE classes are held at either FEI/USEF PE shows (for riders with a disability) or at open USEF-licensed/USDF-recognized competitions. If you require compensating aids or adaptations to allow you to compete, you must apply for a United States Equestrian Federation (USEF) Dispensation Certificate. The dispensation certificates are used only for permanent measurable disabilities, not those that are temporary. This dispensation certificate will list all appropriate compensating aides and adaptive equipment that the particular athlete will be permitted to use in competition. The aids are to be compensatory in nature, not providing any advantage to any athlete. The aides and equipment listed on the certificate are approved by the USEF Adaptive Sports Committee. The committee will review each applicant’s individual needs and aids requested and prepare a dispensation certificate permitting such aids and equipment if deemed necessary and safe. Athletes in FEI PE tests must have a current dispensation certificate which will indicate their classification status, if classified, to be eligible to participate. Riders who do not submit a current dispensation certificate listing their national or FEI PE classification status, or USEF presidential modification letter to the competition secretary cannot compete with any modifications, compensatory aids, or dispensations to the rules in DR Chapter 1. USEF affidavits cannot be used to compete with modifications or compensatory aids when either the dispensation certificate or presidential modification is not available. Currently, FEI PE classes are offered at national level dressage competitions. The USDF Competitions Calendar lists all approved shows by region. The page includes a legend of codes that lists the classes and divisions that have been approved for each competition. Shows offering PE classes will have a designation of “PE” next to the show name. Also, the USEF website allows an individual to search competitions by discipline. 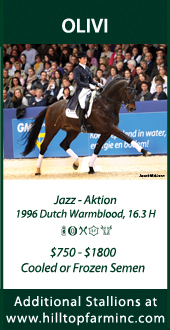 In addition, you may visit the FEI website to obtain information on international competitions. If there is a show in the area that does not currently offer these classes, consider asking show management to offer these classes. A useful document to provide organizers is “Management Guide to Hosting Para Equestrian (PE) Dressage Classes” which is posted on both the USDF and the USEF websites. Yes, you are allowed, and you can use the compensating aides and adaptive equipment listed on your dispensation certificate. Please note that the equivalency chart per rule USEF DR 119.2 (page 497) does not apply to FEI PE tests. Horses competing in FEI PE tests are limited to a maximum of two Dressage rides per day including equivalent USEF or USDF tests. FEI PE tests may be ridden at non-consecutive level to USDF, USEF, and other FEI tests. Many riders challenge themselves to ride above their grading level in national or FEI classes. By providing your dispensation certificates with your entries, you may ride in any national/FEI level at which you are capable while using the compensating aides and adaptive equipment listed. If entered in only FEI PE tests at a competition, riders have the option of using either a plain snaffle or simple double bridle. If cross entering between the FEI PE classes and the USEF national tests, please ensure that you use an appropriate bit for the USEF test. These tests are currently posted on the FEI website under the Para Equestrian Discipline area. 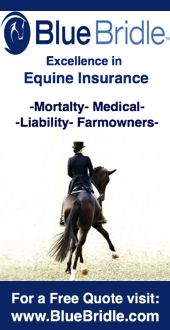 These are free downloads on the FEI website. If entering any FEI PE or national tests, then all the current membership requirements are in effect. The current dispensation guidelines state that four copies of your dispensation certificate must be included with your entry. This is for the judge’s review, the technical delegates, and show management. Copies of your certificate are attached to your test copy so the judge may have it during your performance. It is recommended that you include a copy of the tests you wish to perform with your entry. This ensures that show management will be aware of the exact tests you want to ride and will help avoid any last minute confusion. Para-equestrian sports have evolved into internationally-recognized events. Para-dressage is held as part of the World Equestrian Games and at the Paralympics which take place every four years immediately following the Olympic Games and at the same venue. To learn more about the inspirational discipline of para-equestrian, visit the United States Para Equestrian Association at uspea.org. Equestrians with permanent, measurable disabilities are encouraged to become classified. Currently, for athletes wishing to participate in national level shows, only a dispensation certificate is required. To compete in national championships, selections trials, or international events, international classification is mandatory. National or international classification must be performed by one or more FEI approved classifiers in order to participate in an all PE events, national championships, selection trials for international championships, or the Paralympic program as an athlete on a national/elite team or the Paralympic team. Classification is an attempt to ensure fair equestrian competition. All riders with a disability who intend to enter national championships, selection trials or international competitions must produce a USEF dispensation/classification certificate that states their grade, profile and approved compensation aids. The assessed impairment and the resulting functional profile is compared with other profiles that should have similar ability when mounted. There are five grades of competition within each competition grade. Grades Ia and Ib are for the riders with a severe impairment, Grade IV is for the riders with least impairment. The competition within each grade can then be judged on the functional skill of the rider regardless of impairment. Impairments are issues in body function or structure, such as a significant deviation or loss. Impairments may be broadly classified as physical (including locomotor), intellectual, and/or sensory. No, as with everything in life, people have different levels of competency. 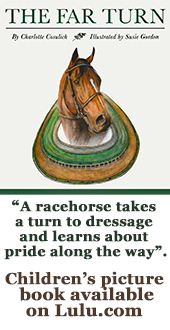 Some people are just beginning their equestrian affair and need the chance to learn to ride. It is permitted for competitors just starting out to compete in lower grades. If you are interested in being classified, please contact the USEF Director of Para Equestrian Activities at (908) 326-1155. The director will coordinate an approved classifier to contact you and determine the best means of obtaining your classification. Please visit the USEF website. The Dressage Para Equestrian Ranking List specifications will be posted along with the ranking list. The criteria may change annually, so stay informed by regularly checking the website. Please visit the USEF website. The current Paralympic Selection Procedures will be posted. Always reference the USEF Rule Book for the most current rules and information. The USEF Director of Para Equestrian Activities at (908) 326-1155, or by contacting the USDF at paraequestrian@usdf.org or (859)-971-2277 can help answer your questions or direct you to the right person.